Premises liability is a term that can be used to describe the responsibility of a certain party for someone else’s accident, which can be seen most often in slip and fall accidents. If someone is involved in a slip and fall accident where they are injured on a commercial property, they may wish to seek liability on behalf of the property owner. 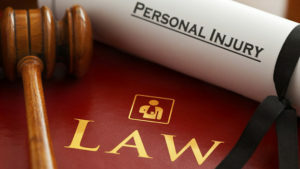 The individual has the right to seek compensation for their injuries in order to pay off bills. In order to win their case, they must be able to prove their accident happened and hold the responsible party liable. Duty of care refers to the responsibility of a property owner to maintain safe conditions for their property. When someone is involved in an accident, they have to prove that the property owner had a duty of care to the individual. If someone enters into a grocery store to purchase goods, they may be considered an invitee. This may make them able to prove that there was a breached duty of care. If the individual was involved in an accident in the store, this may have been caused by a breached duty of care that the property owner may be responsible for. If the owner did not properly maintain the premises for safety, they may be held liable. An invitee is someone who enters onto a premises for a commercial or business purpose. Shoppers at grocery stores are considered invitees since they enter into the store to purchase items. A licensee is a different term to describe an individual involved in a premises liability case. These individuals are involved in accidents on a non-commercial property. This could mean that the invitee was supposed to attend a party at a friend’s house and that is where the incident took place. How can I gain compensation? When proving the liability of the other party, you need to have evidence. There needs to be a standard of duty of care that the premises has to uphold. Then you need to prove that the premises breached that duty of care. This should prove that the party should have reasonably known about the hazard that caused your accident. Another factor involved is that the breach caused the injury. As the injured party, you must explain how the breach in the duty of care caused the injury you sustained.